Beliefs about the malleability of self-attributes—mindsets—may have important relevance to clinical psychology. Individuals with growth mindsets of anxiety and general emotions (the belief that these attributes are changeable) report fewer psychological symptoms, more adaptive emotion regulation strategies, and prefer effortful treatments. However, most research has been conducted in unselected student samples, limiting understanding of clinical utility. 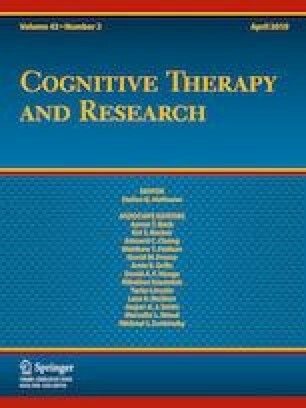 Thus, we evaluated mindsets of anxiety and emotion in patients attending an intensive psychiatric partial hospitalization program using cognitive-behavior therapy, acceptance–commitment therapy, and dialectical-behavior therapy. Growth mindsets of anxiety and emotion were negatively correlated with psychological distress. Baseline growth mindset of anxiety, but not general emotion, predicted fewer anxiety symptoms at discharge, even after controlling for psychiatric symptoms, number of inpatient hospitalizations, and treatment expectations. Moreover, patients became significantly more growth-minded about anxiety at discharge, especially those with elevated psychiatric symptoms at baseline. Findings highlight the clinical potential of mindsets and point to intervention targets. Dr. Schroder, Dr. Kneeland, Ms. Silverman, Dr. Beard, and Dr. Björgvinsson declare that they have no conflict of interest. Informed consent was obtained from all participants prior to participation.